Ever wonder why some people get all the breaks and others don’t? Why some people who have so much continue to get all the opportunities while others seemingly don’t? I believe each person was born into the Kingdom. By divine birthright you are already royalty! Not having the experience of more? Well, what Land are you living in? Did you know you can leave it and travel on? This little parable talks about the Lands we all inhabit, whether consciously or unconsciously. 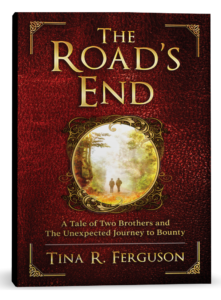 Walk with Two Brothers as they journey from the Land of Not Enough to the Land of Bounty. We each walk this path…just like they do. During this journey of the heart, we must make choices about what we choose to create and when we let go to surrender to something greater than we can see. I have watched many people make the choice to have, experience and be more. I invite you to discover the Land of Bounty for yourself! If you have Kindle Unlimited, read this free now! Just click on the book image to the left!